Minutes before sitting down to watch the Atlanta Falcons take on the reigning Super Bowl champion Philadelphia Eagles in the NFL Kickoff game, we discovered that Caesars has launched the sixth online/mobile sports betting app in the New Jersey market. Caesars is partnered with supplier Scientific Games for both online casino and sports betting. Thus, it doesn’t surprise that the sportsbook has been integrated into Caesars existing online casino platform, Caesars Casino, which has been online since November 2013, and is available on desktop, Android and iOS. 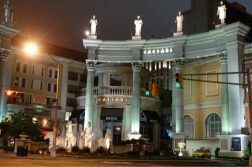 Scientific Games is also Caesars partner for its retail sportsbook operations in New Jersey, of which there are currently two: One at the Wild Wild West casino at Bally’s AC, and another at Harrah’s AC. 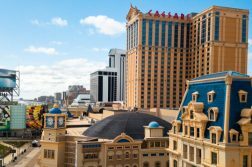 Caesars becomes just the second NJ bookmaker to offer both retail and online products, the other being William Hill, which operates physical books at Monmouth Park and Ocean Resort Casino, and launched a beta version of its NJ mobile sportsbook earlier this week. Caesars is well equipped to carve out significant market share in what is quickly becoming a very crowded online sports betting space. Beyond its strong branding, Caesars holds two key advantages, the first being the aforementioned integration with casino, which will allow bettors to move money on and off the site using the same multitude of cashiering options they use for online casino, including PayPal, among eight other payment processing methods. The money lines for this coming Sunday’s NFL games appear to be competitive, trailing industry best FanDuel by just a tick in spots, and a bit more in others. At present, the app doesn’t nearly the number of betting options as FanDuel, Play SugarHouse, or DraftKings, presumably because it’s still in a soft launch test period. 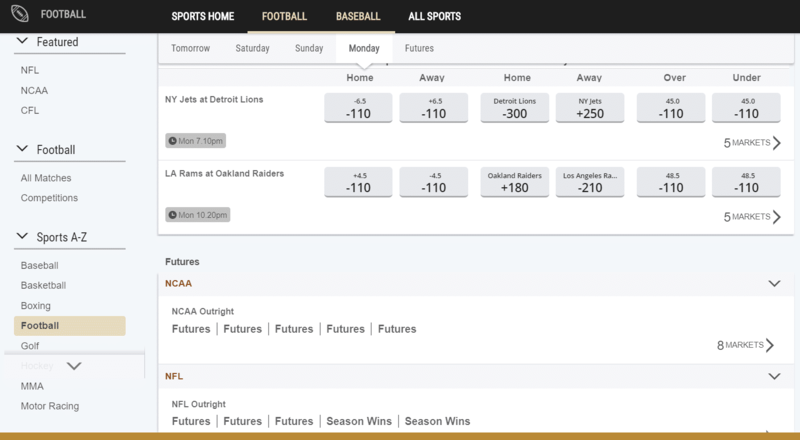 However, spreads, money lines, and totals for this Sunday’s NFL games have been posted, along with 1st half betting options, and a smattering of NFL futures. So far, the influx of new betting apps has created an atmosphere where we’re seeing more competitive pricing. It is believed this trend will continue, as the New Jersey mobile sports betting market will only become more flooded with apps in the coming weeks. If it weren’t already immediately apparent, more options are better than less for players. 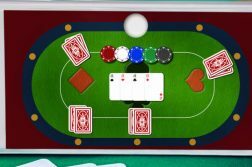 Apps from BetStars via the Resorts AC license, and 888 via Caesars, are expected to hit in relatively short order, adding two more operators with vast experience in the international bookmaking space to the mix. This should follow by more branded apps from Atlantic City casinos, with the next batch hitting as early as late September. On the land-based front, Tropicana AC has recently announced a partnership with Will Hill Race & Sports Book, meaning that we should see a third brick and mortar Will Hill book going live soon.